I've had a few questions about my kids' nativity set from my Christmas tour this week. The Big Guy purchased ours from a woman at work who hand sewed them and it's a keepsake. I've seen some on Etsy and if you are willing to invest, it is a great thing to have around during the Christmas season (to keep kids' grubby paws off your Lennox, oh, and to teach them about Christmas...hee,hee). 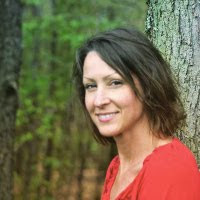 BUT, if you want a fun, inexpensive project to help you get started...that's where I come in! Behold, Clothespin Baby Jesus! Fun Kids Christmas Craft, originally uploaded by hopestudios1. 2. 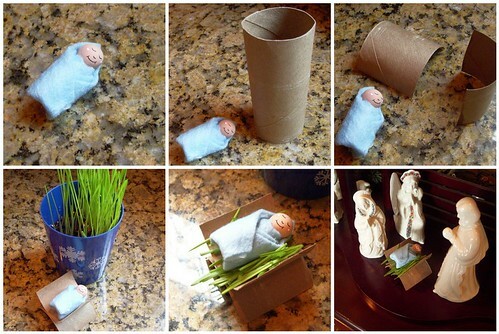 Find an empty toilet paper roll to make a cradle. 3. Cut the TP roll in half lengthwise and crossways, leaving you with two semi-circles. 4. Hot glue the two half circles, round sides opposite to form a bed. Give the kids some soil and wheatgrass seeds (also known as "cat grass") to plant for bedding. 5. After about 7 days, you will have enough grass to cut for bedding. 6. Add to your favorite nativity! 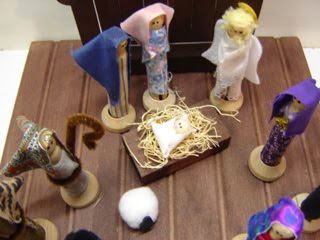 Think of making all the other pieces to the nativity with more clothes pins and pieces of fabric! Like this one at Roger's Place Blog! Your own chance to link up a Hand Made Christmas Ornament will be here soon! 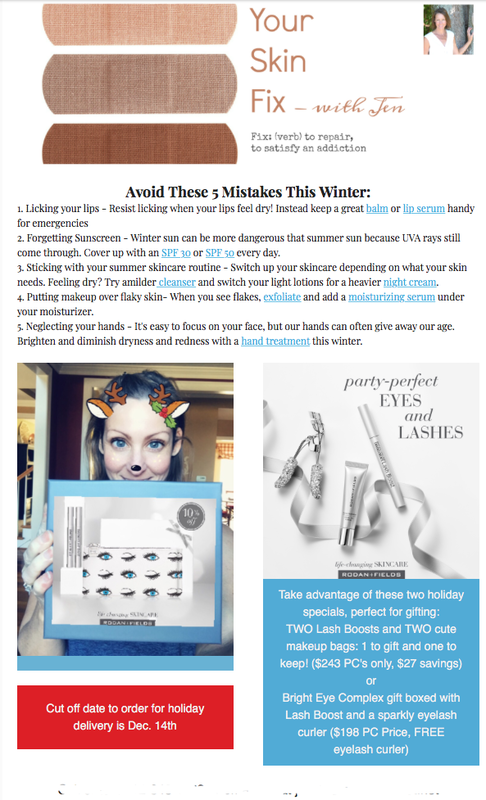 Check back around 10 pm for a sneak peak at tomorrow's post! I just love clothespin people...Cubby is my biggest crafter yet! Gotta him some and see what he creates! Now how cute is that? ?